While the BJP is desperate to retain its power with the help of minorities, the RSS wants to establish the power of majority. The Medium of Instruction issue has taken an interesting turn; politically. That too when not a single MLA or a political party is opposing the decision to continue government grants to the Church-run English medium primary schools. Even the Maharashtrawadi Gomantak Party, the major alliance partner of the Bharatiya Janata Party, has watered down its opposition at non-antagonistic level. But on the warpath are the BJP and its parent organisation – the Rashtriya Swayamsevak Sangh, which is spearheading the anti-English Bharatiya Bhasha Suraksha Manch. They have decided to ‘make Congress of the BJP’ in the next Assembly election. They claim that the Congress lost last election due to its decision of giving grants to the Church-run schools and the BJP won 21 seats also due to MoI. However, the BJP perhaps knows why they won the election. Moreover, they have realised how any party can climb to the seat of power. Combination of Hindus and Catholics along with Muslims is the only formula to get the majority in Goa’s 40-member House. Polarisation and hate politics doesn’t work in Goa any more. What clicks is All-Religions and Good Governance formula. This has been the history right from 1963, when Bhausaheb Bandodkar’s Bahujan Samaj perspective and anti-Bhatkar slogan wiped out the overconfident Congress overnight. If it was not Marathi and Merger, Bandodkar’s social agenda of Bahujan Samaj (of all religions) and economic agenda like Land to the Tiller would have played wonders in Goa. He had Tony Fernandes as a minister in his first three-member cabinet and saved his government from a revolt within MGP by bringing five Catholic MLAs of the United Goans Party on his side. Neither the UGP defectors (Furtado group) nor the MGP rebels – Nav Maharashtrwadi Gomantak Party – could win a single seat in the 1967 election. The subsequent three elections MGP won by majority till 1977 also had sizeable number of Catholic candidates, some of whom like Raul Fernandes were also the ministers in the Shashikala Kakodkar government. After original Congress was wiped out from Goa, the rebirth of Congress and its uninterrupted decade-long rule from 1980 to 1990 was nothing but the MGP and UGP leaders coming together and ‘fighting within’ rather than an electoral battle. People were fed up of selfish, corrupt and all-powerful Congress since defections and topplings started in 1990, but either the Congress or its factions continued in power for two more decades, till 2012, only because of the Hindu-Catholic formula. And then came the Hindutwa BJP to power winning 21 seats, out of which six are Catholics. This was the worst ever scenario the BJP could take advantage of, since even the Church had decided to secretively support the BJP and teach life-time lesson to the corrupt and arrogant Congress. This was the first and last chance for the BJP. To win elections in future, the saffron party has no other option than adopting the same Hindu-Christian formula. Thus continuation of grants to the Church-run English schools and Chief Minister Laxmikant Parsekar’s ride in the Sal River with independent and Goa Vikas Party MLAs like Minister Avertano Furtado, Benjamin Silva and Caitu Silva. Parrikar had once tried it as Mission Salcete. Parsekar is now trying it as Mission Sal. This obviously doesn’t fit in the RSS agenda of ultimately achieving Hindu Rashtra. Perhaps this is the reason MoI has been made an issue of Nationalism, Indian culture and anti-Christian rather than education. Not that they don’t know the reality. The BBSM knows very well that 60% of Goa’s population is studying in English medium at primary level and Hindu students are in majority even in the most of the Diocesan Society primary schools. But they want to hide these facts and blame only the Christian community for embracing English. MoI is perceived as a corridor to achieve Hindu Rashtra, like how our Goans look at Portuguese passport as a corridor to enter United Kingdom to seek jobs. While the BJP is desperate to retain its power with the help of minorities, the RSS wants to establish the power of majority. The BJP is also not bothered about the BBSM propaganda since children of their own legislators, leaders and cadres also go to English medium schools. So where does the question arise of losing its traditional vote bank? Ultimately, the BJP could have never come to power merely with the support of RSS cadres, if the Bahujan Samaj had not shifted its allegiance from the MGP and the Congress. But can the BJP afford to lose its traditional Hindutwa vote bank of committed RSS cadres? Well, we have to wait till 2017 election results to judge who is more powerful – the BJP or the RSS! It’s crystal clear that the Church, as an institution, will not support the BJP, directly or indirectly in the next election. But it is also a fact that the Church would neither support the Congress, which is yawning over its lost credibility. The Church never tells to vote or not to vote anybody in particular. But it definitely takes a policy decisions on elections – what kind of characters to vote. It also needs to be seen with what character Vijai Sardesai’s regional party emerges and attracts the Church. The BJP, politically, is thus not in a mood to antagonise the Church or the Christian community, which dominates Salcete, impacts Mormugao and influences Tiswadi and Bardez. Except Cuncolim, the BJP could not win a single constituency of 8-seat Salcete, but could win Vasco and Cortalim in 3-seat Mormugao, St Andre in 5-seat Tiswadi as well as Aldona and Calangute in 7-seeat Bardez. It was next to impossible to win these seats without the support of Christian community of Goa and silent support of the Church. And the saffron brigade cannot afford to lose so many seats by antagonising the Church as well as the minorities. It is but natural that the RSS gets restless over this ‘appeasement of minorities’, which it still blames the Congress for. We don’t know whether the BBSM would succeed in ‘making Congress of the BJP’ in the next election. But the whole Goa certainly knows that the BJP has already become the Congress in terms of ‘appeasing the minorities’. Taking all religions together is the only ladder to rise and capture the throne. The BJP is thus in a Catch 22 situation. It cannot afford to antagonise the Church by withdrawing grants to over 130 English medium schools of DSE and it cannot hold back the RSS cadres – its guaranteed vote bank – by continuing the grants. MoI, in terms of mass votes, is not at all the issue anybody needs to bother about. But it is the issue in terms of two powerful institutions – the RSS and the Church! The intrusion by church in political affairs is really deplorable. It will be cake walk for BJP in coming Goa Assembly election. The Church plays vital role in Goa's Assembly elections than RSS cadres is a truth which nobody can deny. BBSM has started mocking themselves by raising the outdated issue of MOI in the coming elections. Mr Parrikar is smart enough to understand all this poli- tricks of BBSM and RSS by protecting his vote bank.RSS votes are almost negligible in Goa and it will be replaced by Catholic community votes which prefer BJP over Congress. Mr Velingakar has no standing as a RSS leader in Goa. The Bishop's word is more vital to Goa BJP in the coming elections. MOI was not a serious n contentious issue in 2012 poll. Congress was targetted and defeated because it had become "shishupal". But many claimmed credit. This time too MOI will not be poll issue. Real issue will be thrown in our face by the main contenders in the last hours. And we will be confused. Cake will go to same hands. Sandesh Prabhudesai is the Editor of goanews.com. 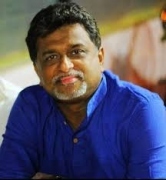 He has been earlier the Editor of Sunaparant (Konkani daily) and Editor-in-Chief of Pruden (TV channel). His collection of selective editorials of Sunaparant has been published as 'Goff'. He writes brief thoughts as EdiThought for goanews.com, but not on regular basis. » Unemployment doles for what, Mr Faleiro? » कोंकणी अकादमीचो वर्धापन दीस; काय पुण्यतीथ? » How do Lamanis hamper Goenkarponn; Babu? » What will BBSM achieve? » Goa Forward: For Power or/and Goenkarponn?